- New high quality Clean CNC brake clamps, exclusively designed and developed in Spain. - Tested over a year by UCI World Champion Abel Mustieles to ensure they work perfectly fine. - Made from high quality CNC 7075 T6 aluminium. 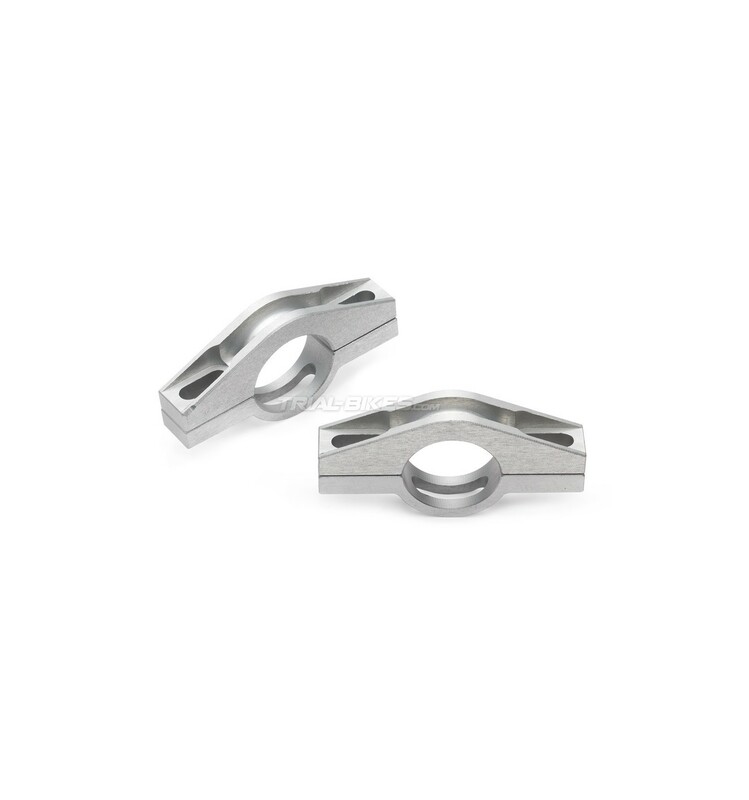 - Top clamps are slightly different than standard ones to improve braking performance and overall stiffness. 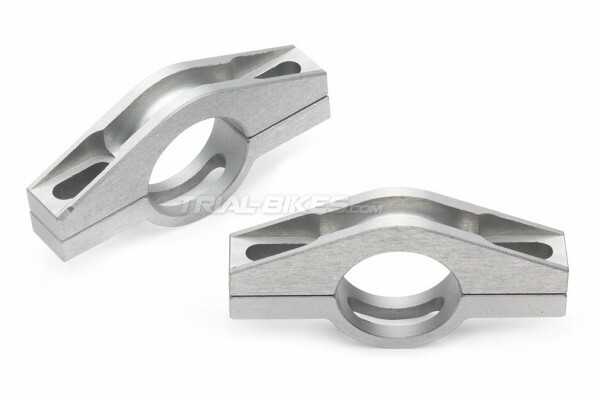 - There is no need to use the cylinder washer anymore: the Clean CNC brake clamps ensure the pads stay parallel to the rim (as long as the brake mounts are square). 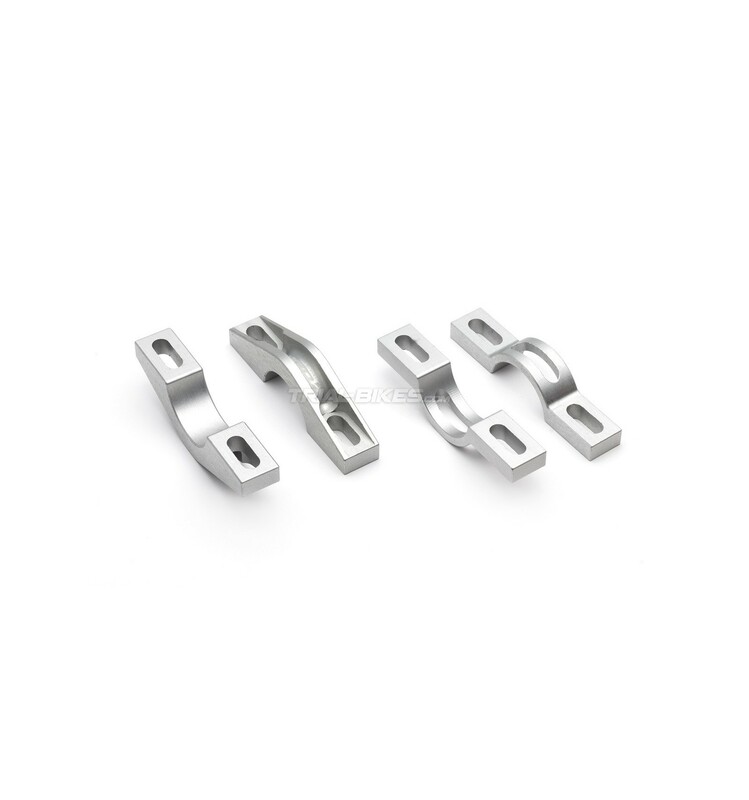 - Please note: it’s recommended to file down the brake mounts on your frame or fork to ensure these brake clamps stay perfectly parallel to the rim. - Available in anodized silver finish, with white laser etched Clean graphics. - Sold as a pair (without bolts), enough for a brake.